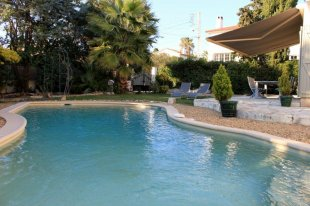 Villa rental Cap d'Antibes : luxury villas with swimming pools for vacation rentals, long term rentals, events and family holidays. The Cap d’Antibes is a wooded headland renowned as one of the most sought after areas for luxury villa rental and has been a historic destination for the wealthy and famous for more than a century, gathering a reputation as a playground for aristocrats, film stars and celebrities, many of whom enjoy seasonal villa rental on the Cap D'Antibes. Despite its exclusive reputation Cap d'Antibes villa rentals are ideal for family holidays. It is very quiet, there is little traffic and an abundance of natural parks, scenic walks, lush pine forests, isolated coves, and breathtaking beaches. A villa rental on the Cap D'Antibes will refresh your senses in every way. Most of the villas here have excellent volumes and many have sea views whilst all are just a few minutes from the sea. In logistical terms, Cap d'Antibes villa rentals are an immensely practical choice. It is a short drive from Nice airport, with the historic old fortress town of Antibes on its eastern base and Juan les pins offering a glitzy night life scene to the west. Both of these small towns offer distinctly different atmospheres and are within walking distance of much of the Cap whilst Cannes is just a short drive away. 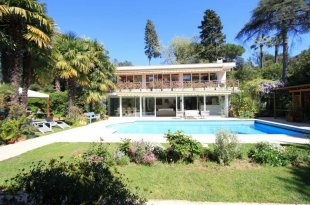 A luxury villa rental on the Cap D'Antibes offers an ideal environment for the family in beautiful natural surroundings with a choice of secluded natural areas and busy nightlife and party scene if required. If you are think of buying here our Luxury Property Sales Department also offers a superb selection of Cap d'Antibes property for sale.